Beginning at the age of 18, Dawn Whytall set her passion for her in motion. She always knew that making others feel good about themselves would make her the happiest. 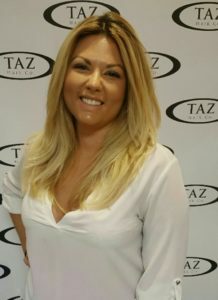 15 years later, Dawn has constantly strived to set goals for aiming to keep the standard high Taz Hair Co. has been home to Dawn for the last six years and she plans on using her creative talents to make others look and feel better for another fifty!